Pulsar1 ransomware is another cryptovirus that comes from the Djvu and Stop virus families. This notorious threat was first discovered by a well-known computer researcher named Michael Gillespie and put up to light to all users. Pulsar1 virus uses asymmetric or symmetric encryption algorithms to capture all data files that are stored on the infected machine. All locked files appear with a specific appendix .pulsar1 which lets users identify what kind of cyber threat has occupied his/her files. A moment later, the _readme.txt message appears and offers the decryption tool for victims if a particular amount of money (in this case, $980) is transferred to the crook's account. As another special offer, the hackers suggest decreasing the price to $490 if the victim shows any sign of contact in a three day time period. Blower@india.com and blower@firemail.cc email addresses are provided in the ransom note also. We recommend avoiding any contact with such people as they usually have only one goal to achieve with their illegitimate activities – gather as much income as possible. However, all cyber threats which belong to the Djvu ransomware category provide the same _readme.txt ransomware. That is why for further authentication of the guilty virus, you will need to identify the extension. For a clearer view, scan your system with Reimage and detect all objects that are related to Pulsar1 ransomware. Note that the ransomware virus might hide rogue processes in the Windows Task Manager and create suspicious-looking registry keys and plant them in the Registry. Due to this reason, you need to remove not only Pulsar1 virus itself but also all malware-related components that it might have injected all over the computer system. Another hazardous feature that might be included in the ransomware's operating principle is the injection of other malware. Some cyber threat, and we cannot deny that Pulsar1 might be one of them, might be capable of carrying other damaging viruses or components together with itself. Make sure that you avoid such a possibility. Perform the Pulsar1 removal as fast as possible and ensure that all harmful processes related to the virus have been eliminated. For file protection, use a portable USB or connect to an iCloud server and save important information here. This way, no other person will be able to reach data that is stored in these places. We advise avoiding contact with Pulsar1 ransomware spreaders as these people are supposedly scammers. They promise a reliable decryption tool for a specific amount of money, however, such promises might not be fulfilled at all. Better prevent expectable money losses and try using some data recovery tools that we have provided below our article. According to Virusai.lt experts, ransomware viruses can be distributed widely throughout various third-party web pages. However, crooks often inject hazardous payload straight into secondary downloading websites such as Torrents, eMule, The Pirate Bay. Once the user clicks on a downloading link, he/she might accidentally launch the installation of ransomware. We recommend staying careful while browsing the Internet. Try to avoid using secondary downloaders or visiting questionable-looking pages. 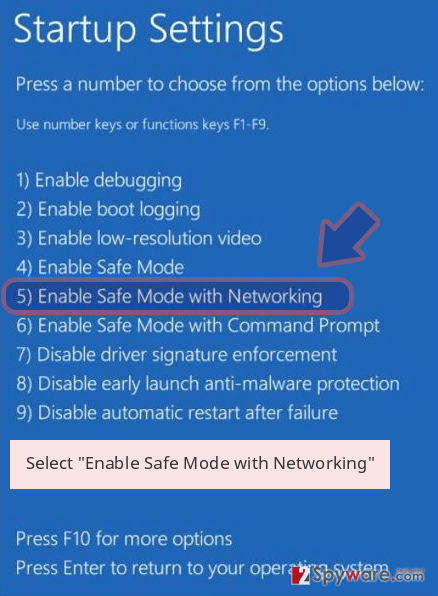 Rather than that, choose a certain anti-malware tool to download on your computer system. Such software increases machine protection at a very high level which might not be able to reach by the human himself. Continuously, ransomware-related payload is commonly distributed through phishing email messages also. Crooks attach malicious payload to the spam email and send it to random users. Such letters usually fall in the spam section, however, they might also appear in the inbox section, so always be accurate and careful while opening your received email. If it happened that you turned out to be a victim of this dangerous file-encrypted threat, we are offering you to look through some virus elimination steps that will help you to remove Pulsar1 virus successfully from the computer system. However, at first, scan the entire machine with a specific anti-malware program such as Reimage, Malwarebytes MalwarebytesCombo Cleaner, or Plumbytes Anti-MalwareMalwarebytes Malwarebytes. After that, continue with data recovery techniques that are presented below this article. The Pulsar1 ransomware removal process is not an activity you should carry out on your own. For this purpose, only anti-malware programs can be fully trusted as humans are more capable of making mistakes and causing even more damage to the infected device. 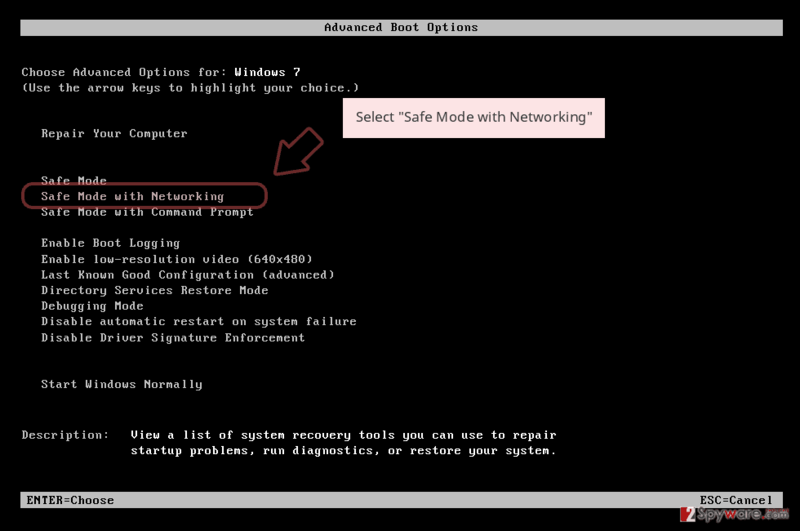 However, still, make sure that you boot your computer to Safe Mode with Networking before performing file restoring just to check if no malware-related activity is continuing. Log in to your infected account and start the browser. 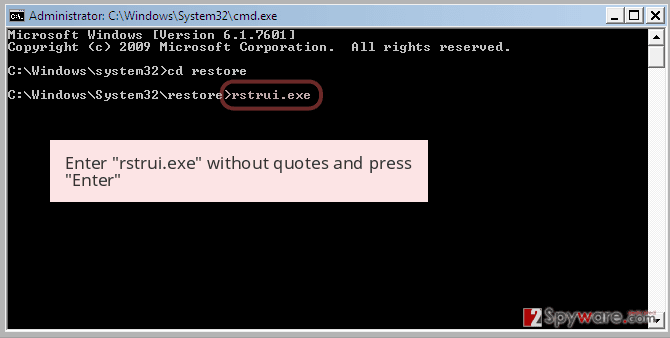 Download Reimage or other legitimate anti-spyware program. Update it before a full system scan and remove malicious files that belong to your ransomware and complete Pulsar1 removal. 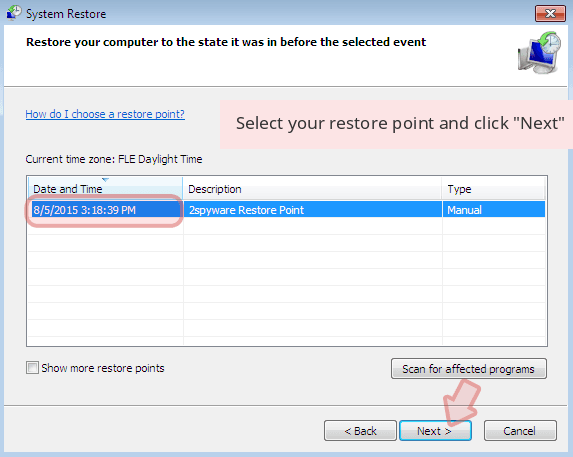 When a new window shows up, click Next and select your restore point that is prior the infiltration of Pulsar1. After doing that, click Next. 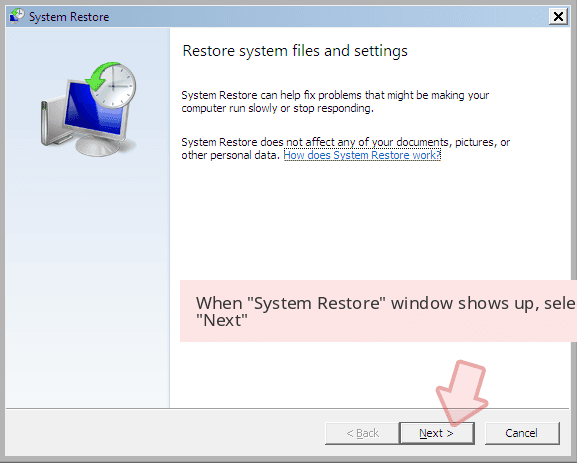 Once you restore your system to a previous date, download and scan your computer with Reimage and make sure that Pulsar1 removal is performed successfully. Guide which is presented above is supposed to help you remove Pulsar1 from your computer. To recover your encrypted files, we recommend using a detailed guide prepared by 2-spyware.com security experts. If you have spotted files with .pulsar1 appendix, you need to know that ransomware named Pulsar1 has occupied your computer system and blocked files. Rather than paying the demanded ransom, we urge you to try some data recovery steps that are presented below. 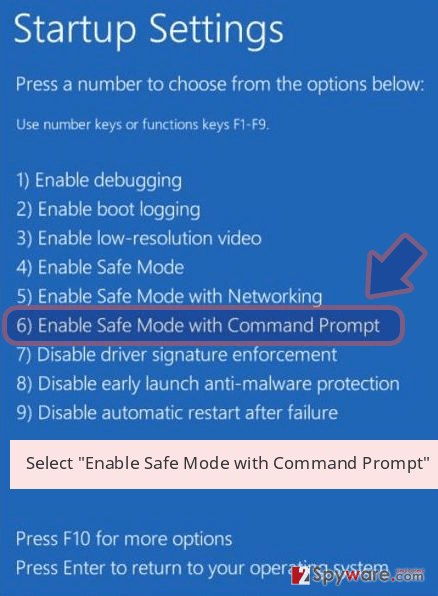 Try performing this method if you want to recover some data that has been encrypted by the ransomware virus infection. 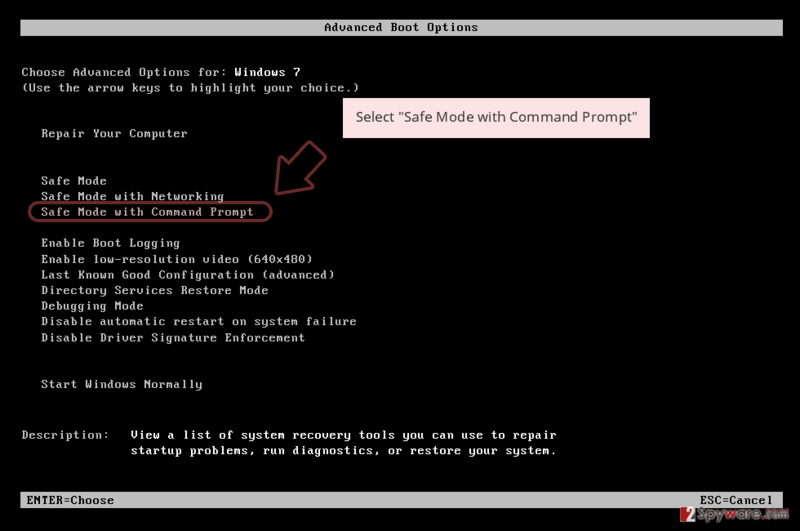 If you have launched the System Restore function before the cyber attack took place on your computer, you should give this method a try. You can try using the Shadow Explorer tool if files were encrypted by ransomware. Currently, no original Pulsar1 decryptor has been discovered or created. This entry was posted on 2019-04-04 at 07:32 and is filed under Ransomware, Viruses. You can quickly scan the QR code with your mobile device and have Pulsar1 ransomware manual removal instructions right in your pocket. How did you remove Pulsar1 virus?